It is almost time for Football! I for one, can’t wait to cheer on my Tennessee Vols this fall. 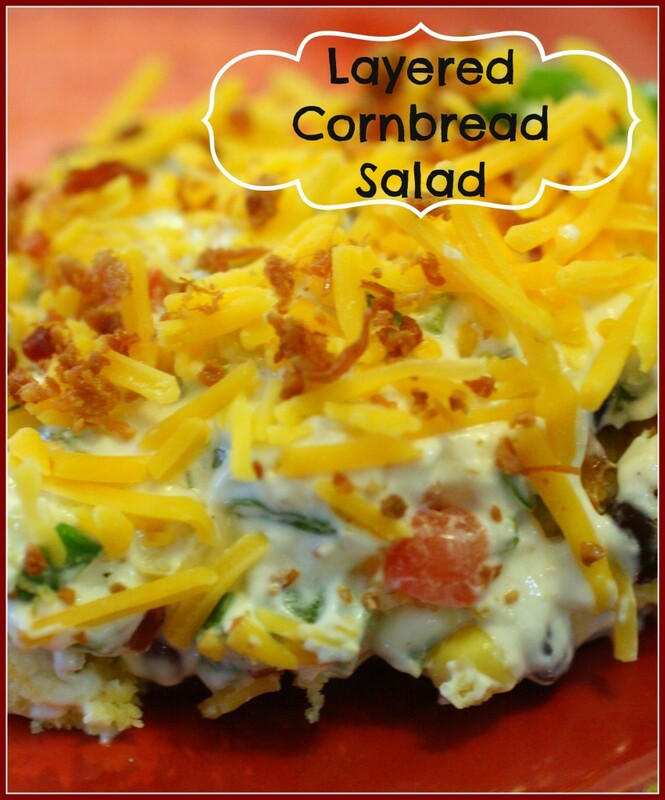 This Cornbread Salad is one of those recipes that I have fixed for family and friends while we watch the game or would be great to take along to a tailgate! Easy to prepare and makes a lot! This is one of those salads that is unbelievably good – the fresh veggies and then the chilis in the cornbread give it just a little bit of a kick. 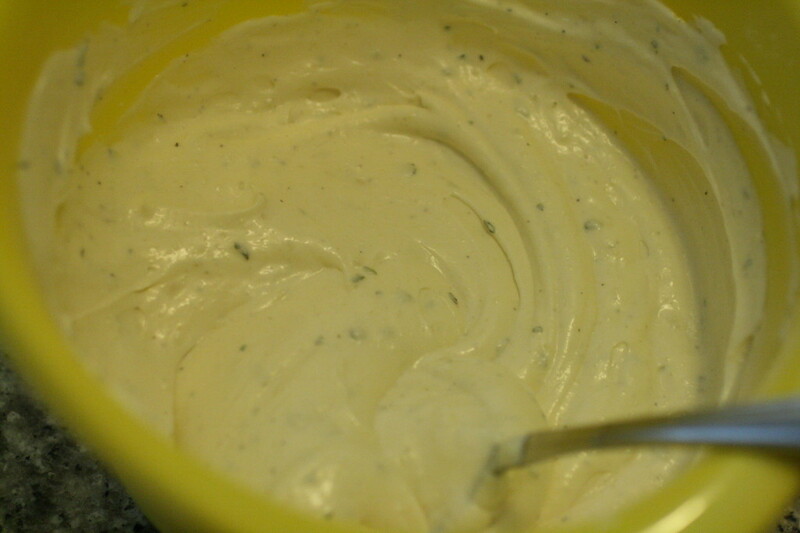 I start out by combining the ingredients for the dressing: Ranch Dressing Mix, Mayonnaise, and Sour Cream. Mix well and chill in the refrigerator. Mix the cornbread according to the package directions. 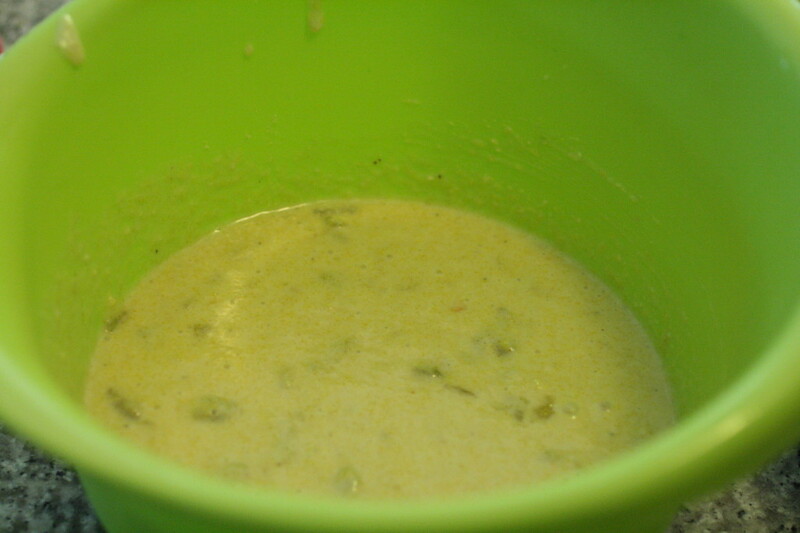 Add in the green chilis and then pour in to a pan and bake according to the package directions. While the cornbread is baking, I prepared the rest of my ingredients – the beans, corn, peppers, green onions, and tomatoes. 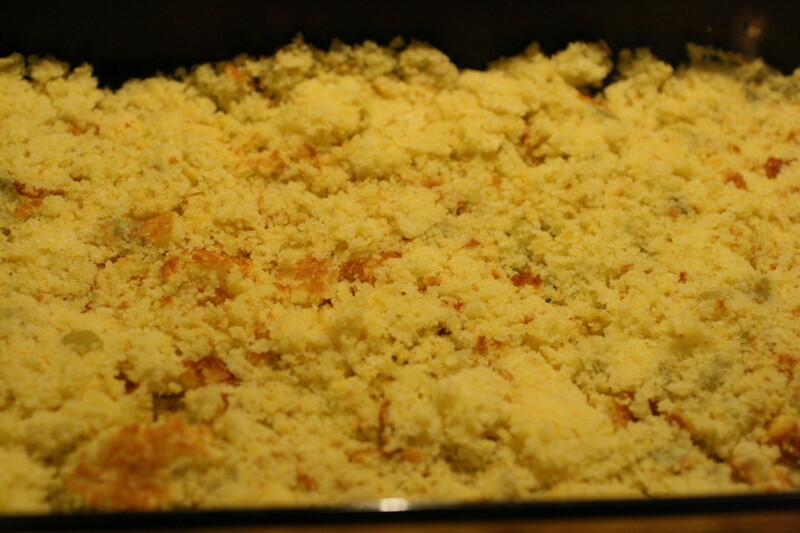 In a large bowl of if you don’t have a large glass bowl, I used a small casserole dish, crumble 1/2 the cornbread on the bottom of the pan. 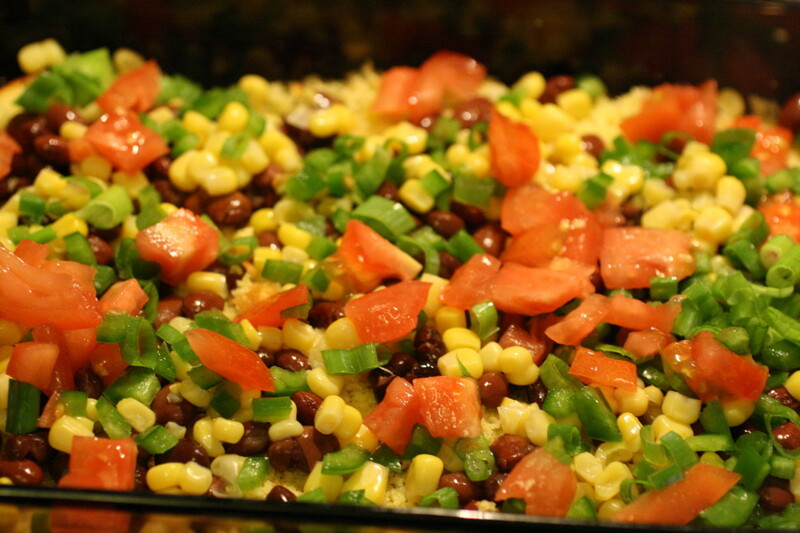 Layer with the beans, corn, bell pepper, green onions, tomatoes, and 1/2 the dressing mix. Repeat the layers one more time. After you put on the remaining dressing, top with cheese and bacon. Chill in the refrigerator for 30 minutes prior to serving. Enjoy! 1. 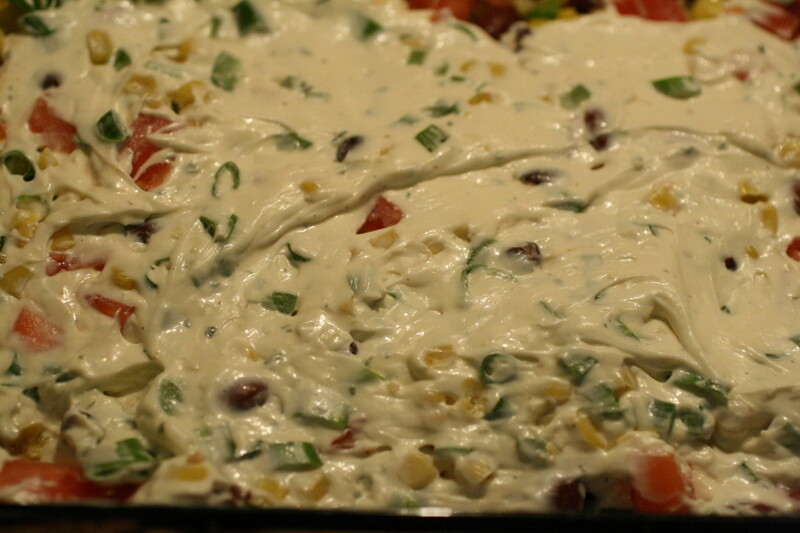 Combine the dressing mix, sour cream, and mayonnaise in advance and chill. 2. Mix the cornbread according to the package directions. Add in the green chilis prior to baking. Bake according to the package directions. 3. Let the cornbread cool. 5. 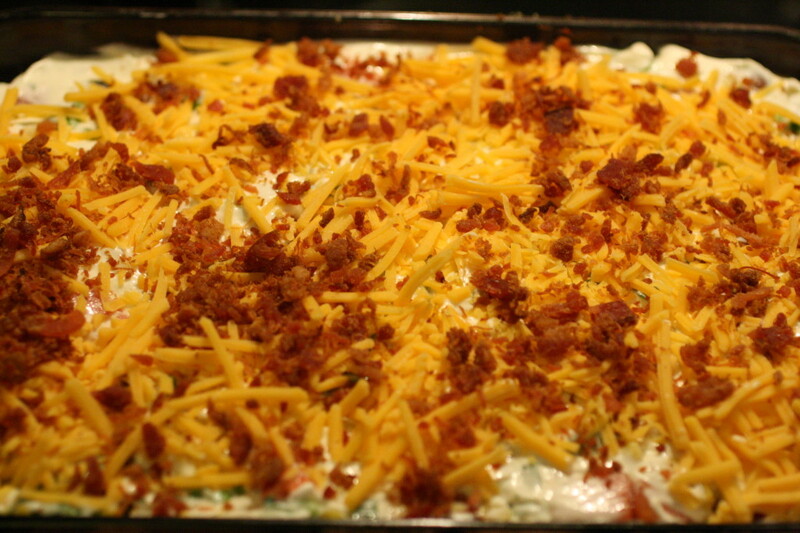 Repeat the layers one more time, topping with the remaining dressing mix, cheese, and bacon. **This makes a LARGE salad. If you are making this for a smaller group of 6 or less, I would 1/2 the recipe like I did in the pictures. I’ve never seen anything like this. It is something I think i would love to so I’ll have to try it. Thank you for linking up to the Bloggers Brags Pinterest Party. I have pinned your post to the Bloggers Brags Pinterest board. Yum!! This looks great. I will have to try it asap!